Before I began my JourneyCircles™ or my SoulCollage© practice I was using art as healing through art journaling. I entered into the healing aspects of art making during a time of grief, loss and trauma. It’s interesting to look back now and see how my own creative interestes were shifting from formal painting to exploring alternate forms of art making long befoe I needed art as a healing tool. SoulCollage© (like JourneyCircles™ later on) was an invitation to step into something amazing, yet completely new and unknown to me, that created lasting changes in my life and ultimately led me to a career change and more. 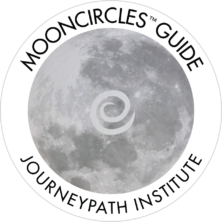 I am a licensed JourneyCircles™ Facilitator but I’m don’t have my SoulCollage© Facilitators certification. I do have a beautiful, deep personal SoulCollage© practice that has been ongoing for several years. 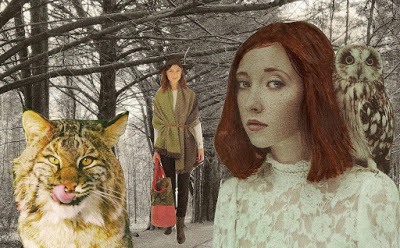 SoulCollage© was created by Seena B. Frost, M.A., M.Div. while studying under Jean Houston from 1986-1989, and further developed it in her private practice of psychotherapy. From the SoulCollage© website….SoulCollage® is a creative and satisfying collage process. You make your own deck of cards—each collage card representing one aspect of your personality or Soul. Use the cards intuitively to answer life’s questions and participate in self-discovery. Joyfully deepen your understanding of the relationships between your personality parts, you and your family/community/world, and you and your dreams, symbols, and Spirit. Founder Seena B. Frost’s book, SoulCollage® Evolving, describes how to make and use the SoulCollage® cards individually and in groups. SoulCollage© has a very specific structure which includes four suits of cards that you create. The Committee Suit is made up images that represent the different parts of your own personality. The Community Suit cards represent friends, family, pets, historical figures, or even very special places. The Companions Suit consists of the animal guides that align with your Chakras. The Council Suit consists of Jungian archetypes that are present in your life. There are also Transpersonal cards which represent Source (Divine Spirit), SoulEssence (what you may simply think of as “soul” ) and Witness (your own detached, dispassionate consciousness). There is also a very specific way you work with SoulCollage© cards. Typically, one card from each suit (but never from the transpersonal cards) is drawn intuitively and a reading is done. These readings, whether done indiviually or in a group, can be very powerful ways of bringing to the surface what is known deeper within your sunconscious helping you gain insight that you otherwise might not be able to access. The cards themselves are made from cardboard or mat board in a specific size. Found images from books and magazines are carefully cut out and arranged over a background image and trimmed to fit the card. Words and phrases are not used on the cards only images. Unlike JourneyCircles™ cards which can hold a story and include words, each SoulCollage© Card card is meant to visually hold one energy, concept or idea. Finally, the backs of the cards are marked in some way ( I stencil mine) to indicate which suit to which they belong. I enjoy making SoulCollage© crads and have quite an extensive deck. 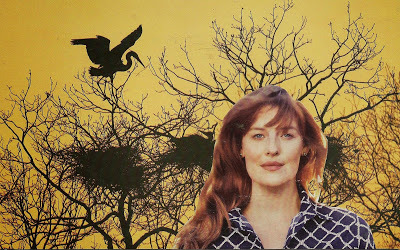 The first two SoulCollage© Cards I ever made were The Magician and The Wise Woman. Of course SoulCollage© cards are made intuitively so I didn’t set out to make those two specific cards, they just showed up. Both belong to the Council Suit because they are archetypical figures. I recognize that they came forward as potent guides, spiritual parents even, just as I was beginning my journey into soul work. They still accompany me. I bring them out every now and again to reflect on their meanings in my life. It’s interesting to see what they bring to the current work that I’m creating.